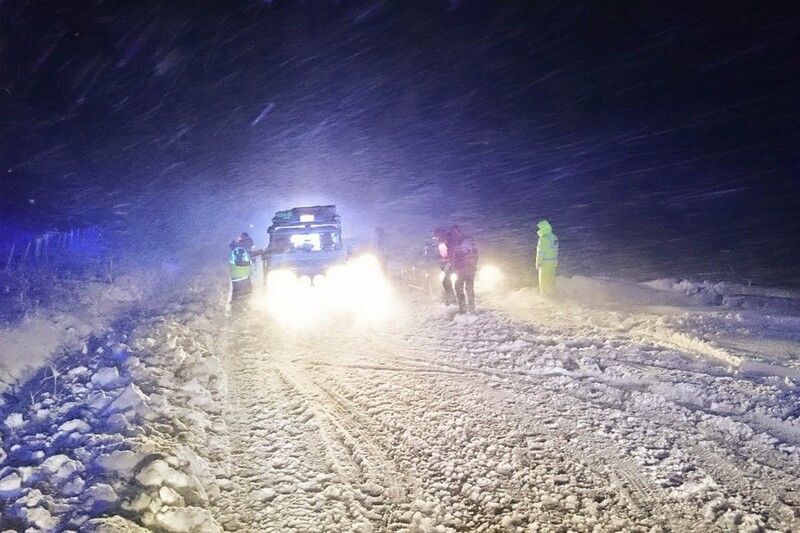 Mountain rescue teams were called out overnight to help motorists stranded on the Scotland-England border in wintry weather. Heavy snow left dozens of vehicles stranded in drifts both sides of the border at Carter Bar on the A68 between Hawick and Redesdale. Border Search and Rescue Unit, Tweed Valley Mountain Rescue Team and volunteers from the Northumberland MRTs worked with police to rescue stricken motorists and their vehicles. 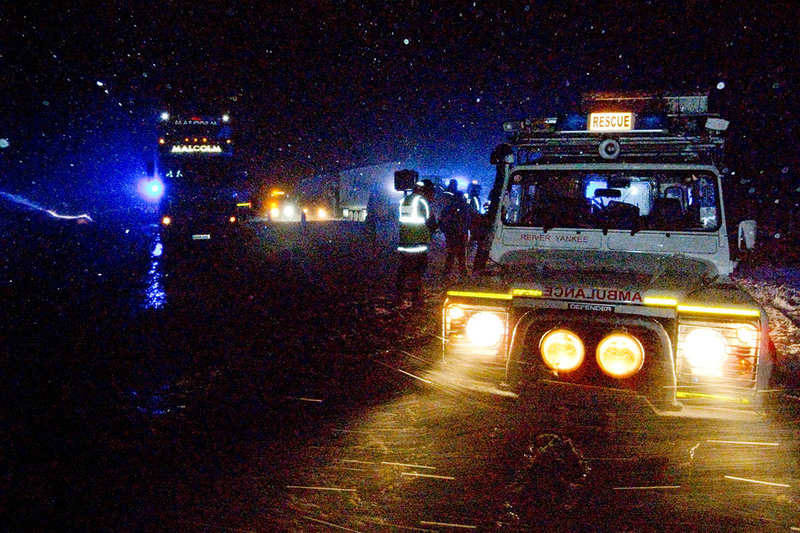 The volunteers’ operation lasted into the small hours, with cars and lorries being towed back to sections of the road from where they could continue their journeys. Damon Rodwell of BSARU said: “The specialist vehicles we use for mountain rescue are perfect for this type of thing.